Ireland signed the Optional Protocol to the Convention Against Torture (OPCAT) on 2nd October 2007 but has yet to ratify this instrument. 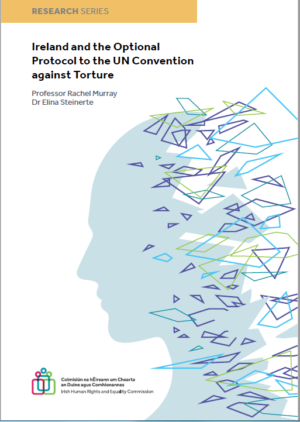 Ten years on, the Irish Human Rights and Equality Commission has commissioned research on OPCAT and Ireland, authored by Professor Rachel Murray, Director of the Human Rights Implementation Centre in Bristol Law School, and Dr. Elina Steinerte. Read the Commission’s press release on the research and launch event.